The media industry has been facing many ups and downs for quite some time because of the fact that there are newer and better mediums are emerging that allow people to get information in real time and free of charge. It is fair to say that the internet has destroyed the business models that so many media companies used to follow and has made it difficult for publishers and the like to create a market for themselves. In these dire and trying times, publishers often turn to Facebook to help them out. In a conference for magazine editors, publishers and owners, Facebook executive Campbell Brown very frankly stated that Facebook is not there to save their failing industry. Brown is the person in charge of Facebook’s department for global news partnerships. Facebook is one of the biggest reasons why magazines and other media outlets are not as successful as they used to be. The social media site sold nearly $17 billion worth of ads last quarter, which is a stark contrast to the media industry where people are losing their jobs left, right and center and are struggling to find a place for themselves in a world that seems to be doing well without them. "The old model which was 'create little short videos and go viral', is not going to work anymore. 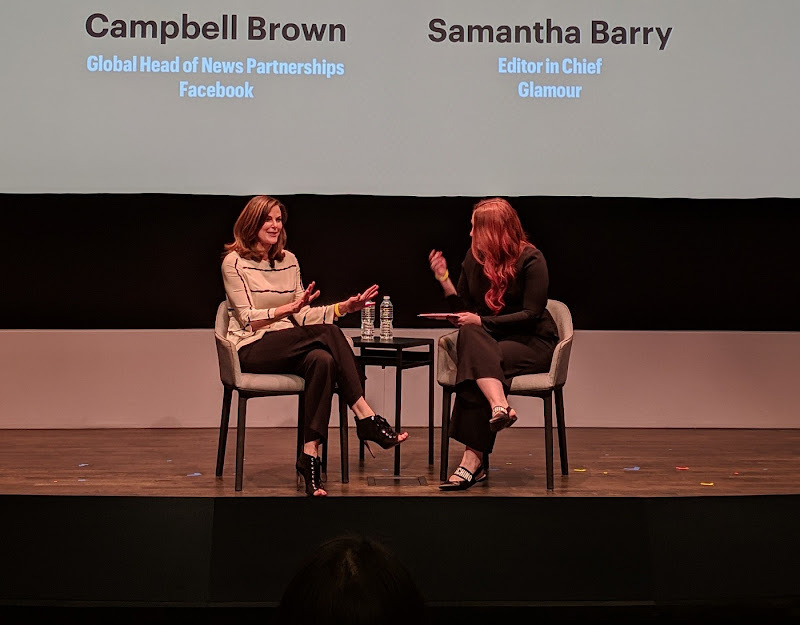 ", said Campbell Brown, Head of News Partnerships at Facebook on Tuesday at American Magazine Media Conference 2019. A lot of publishers seem to think that if they invest enough into Facebook marketing campaigns they are going to be able to bring their readership back, which is why they are often frustrated by the changes Facebook makes to its algorithms. It seems like the social media platform wants to put the media industry in its place by telling them to find someone else to be their saving grace. All in all, this seems like the last breath of a dying industry. Video Courtesy of: Corrie Davidson / Google Posts- #AMMC19 In New York.